- and in conclusion we need to do restatement. 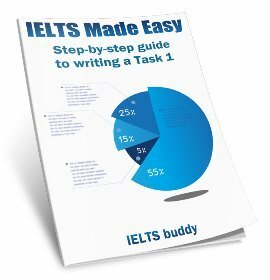 What you have suggested is a good way to basically set out a simple essay for IELTS. But it would be wrong to say you 'have to' do it that way. 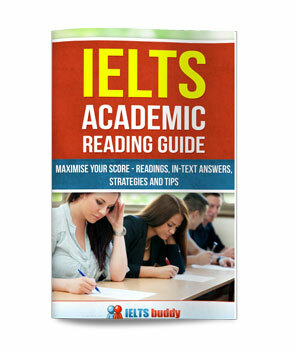 There is not a fixed structure you have to follow for an IELTS essay. Of course you do need certain things that you mention such as introduction, body paragraphs, conclusion, thesis statement, central ideas in each paragraph etc. But there are different ways of structuring an essay. The body paragraphs don't have to follow the pattern you say but you certainly should ensure they are well-organised and provide good support for your arguments. Teachers give their students structures to follow as this can help them improve, but there is not 'one' correct way. There are different choices you can make. Take a look at these model essays to see some of the variations or these essay writing lessons for strategies and techniques. Does someone have an IELTS Writing Task 2 formula? i need writing task 2 formula. Comments for Does someone have an IELTS Writing Task 2 formula? There aren't formulas as such and you have to be careful about learning a 'formula' as there are different types of IELTS essays and they require different types of answer. But there are techniques for writing introductions / conclusions quickly, and how to structure paragraphs etc. Hi, hope you're all well. I've just added a free printable lesson to Teaching Truffles. It's a 2-hour lesson about "argument led essay writing" which is particularly relevant to students preparing for the IELTS exam. As you may already know, writing task 2 of the IELTS exam may require that participants write an essay following the argument led approach. In other words, the student writes about the advantages and disadvantages of something before offering their own opinion. Bear in mind, there are a few writing approaches that students need to be aware of for writing task 2, the argument led approach being just one of them. 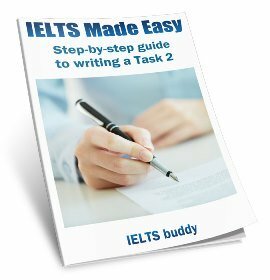 The lesson is split into 2 phases: the teaching phase, which uses the worksheets (8 pages), and the practice phase, which involves writing an IELTS style argument led essay with the help of a checklist. All in all, the lesson is easy to teach, productive and engaging. There's no need to register for the site, provide details or pay anything. Just click and you have everything you need to teach the class - that's it. You're the best Dave! Long-live sir!! Sunil, the lesson is not suitable for beginner level English users like yourself. That's why you didn't find it useful. 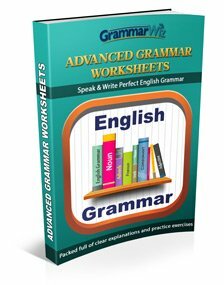 Note that this lesson has been created for qualified English teachers to use in class with their pre-intermediate level (or higher) students. My advice is that you should learn the basics of English before even looking at a lesson like this. Good luck with your English learning. For those topics asking to give my opinion, which paragraph should I write down my view, the first body paragraph or the second? And will it influence my band score if I express my view point in the second body paragraph? I would take a look at the essay writing lessons on this site as they will help you to decide, and also look at the model essays. It's difficult to answer such a question in one post like this as it can vary. But generally you could put your opinion in the introduction (as the last sentence - the thesis statement) and then repeat it again (paraphrased) in the conclusion. You wouldn't normally put it in your body paragraphs as you suggest. They are the place to say WHY you have the opinion you have given. In other words where you give your reasons. An exception to not putting it in body paragraphs are the 'discuss two opinion' type essays where you may make the second opinion in the second body paragraph your opinion as well. So as I say, go through my lessons and model essays to get an idea of where you can place it according to what type of essay you are answering. I mean where I should explain or give reasons to support my view and where to write down the other side, especially for those types asking to discuss both views and give my own view? The first body paragragh or the second? As I said to you, you need to take a look at the essay writing lessons on this site and also look at the model essays. You can't really give one general answer to that question as essays vary in the way you answer them. And in some cases you may not even be giving the other side. For discuss two opinion type essays you discuss the first option in the first body paragraph and the second opinion in the second body paragraph. Does this structure fit the 3 IELTS essay types? introduction, first point of view with examples, second point of view with examples, conclusion and my opinion. Can i adopt this essay structure for the 3 types of essay? Comments for Does this structure fit the 3 IELTS essay types? I'm not really sure that what you have put cover all the essay types. And an expository essay is when you have to "Describe", "Explain", "Define" something. You don't tend to get that in IELTS. Other types are where you have to discuss problems / causes and solutions or something similar. And regarding the structure you have mentioned, it is too simple to say whether it could fit each essay type. Every essay requires a different way of answering so it's difficult to get one template that will cover them all. But yes of course you would normally have an introduction and conclusion for all IELTS essays, then 2 or 3 paragraphs, and in each one you would present maybe one or two ideas and explain them (possibly using examples). It's not really possible to say much more than that but you really need to study the different types as they do need differing techniques. Check the model essays on this website. Only by studying hard can i achieve all my purpose. Can we use such kind of sentence structure in ielts essays?